Solar Technology Is Great — But Right Now It Costs Too Much And Isn't Good Enough : Goats and Soda Renewable energy is critical when it comes to climate change. 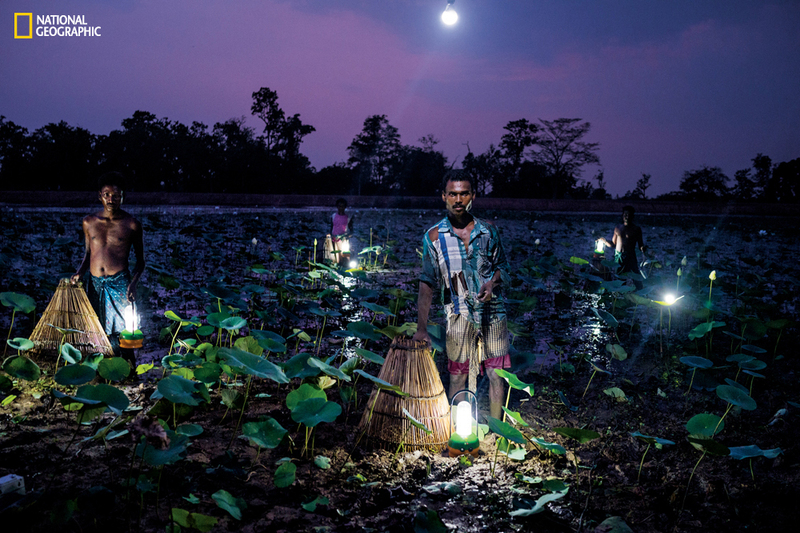 But there's a life-altering benefit for the 1.1 billion who live without electricity. 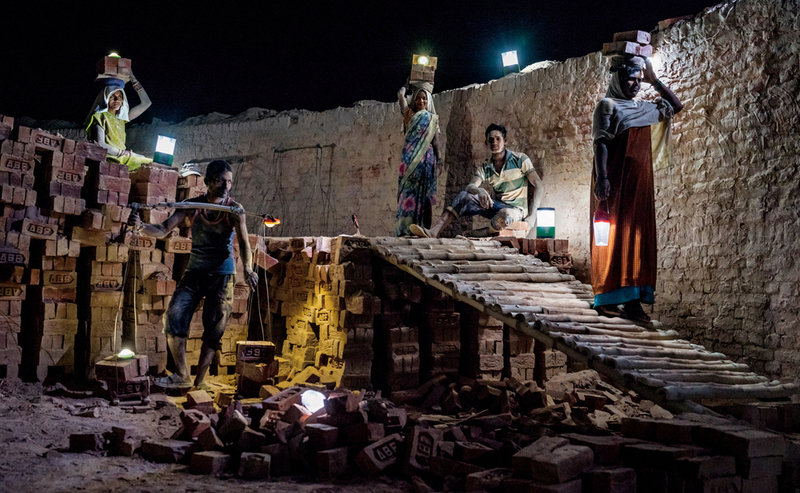 At a brick kiln in India's rural state of Uttar Pradesh, workers use solar lanterns to illuminate their paths. Singh lives in Dhaka Kesarpur, a North Indian village located in the state of Uttar Pradesh so tiny it doesn't appear on Google Maps. State-delivered electricity reached Singh's home for only one hour per day and without advanced warning. Singh's four sons, ranging in age from 14 to 20, study hard in school. Without light, however, they were forced to huddle around a kerosene lantern that stained the walls of their hut and caused Sunita Devi, Singh's wife, fits of violent coughing from its smoke. The illuminating light of the sun was not without its problems either: summertime meant 115 degree Fahrenheit heat without a fan, and with it, decreased productivity, fatigue and illness. 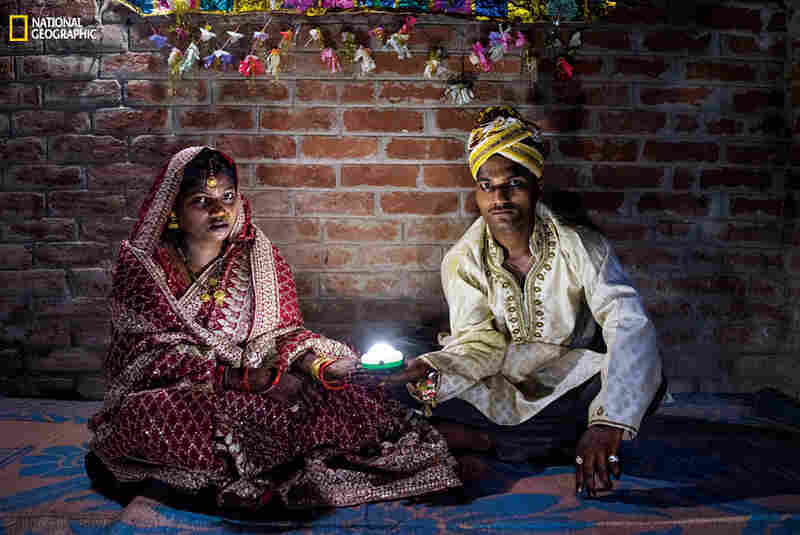 Holding a solar-powered lamp, Soni Suresh, 20, and Suresh Kashyap, 22, celebrate their marriage ceremony in Uttar Pradesh, where 20 million households lack electricity. In early 2015, a door-to-door salesman told him what solar can do. The salesman was working for Simpa Networks, a startup devoted to providing solar power to energy-deprived residents of the developing world. Singh immediately agreed to try it: The risk of not attempting to eliminate his struggles with energy greatly outweighed the risk of taking the chance on a flop. 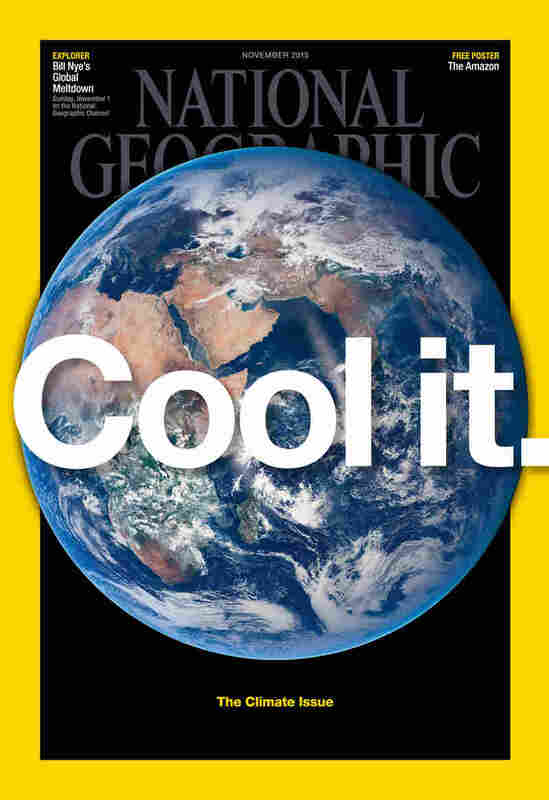 When I spoke to employees of Simpa, Boond, and the other start-ups that sell solar power in the developing world, the number one complaint they voiced is that solar technology hasn't advanced enough since the technology first spread in the '70s and '80s. The batteries used, for example, have only improved in frustrating increments and typically max out at about ten hours of power for a home system like the kind purchased by Singh. In India's state of Odisha villagers trap fish using cone-shaped baskets and solar light. Fewer than half of Odisha's 42 million residents use grid electricity. The number one complaint the consumer has is cost. Singh, for example, earns about 75 US dollars per month for his family of six, and 10 of those dollars go to renting the solar unit from Simpa. In order to offset that expense, he rents out his tractor, a possession he says is more important to him than his own home, and charges a nominal fee for neighbors who are too poor to afford solar technology to use his power system to charge their phones. "Private companies will ultimately develop these energy breakthroughs, but their work will rely on the kind of basic research that only governments can fund," Gates writes on his blog. "Both have a role to play." It's in statements like these that right wing pundits have found the material to label Gates a socialist and it's also where he will likely run into his fiercest opponents. As I noted in my analysis for Los Angeles Times, Prime Minister Narendra Modi views people like Singh and his family not as test subjects for new technologies but as people who urgently need power. The fastest, cheapest way to get them that power remains coal — the very thing that frightens scientists about India's potential to exacerbate climate change. Should India be effective in getting families like Singh's onto the country's central grid, which still runs primarily off of coal, what incentive could these low income consumers possibly have to pay more for solar technology, given that luxuries like refrigeration, or TVs and computers could potentially be added in its place? Despite the immediate impact that climate change is having in India right now, like the recent Chennai floods that left at least 280 people dead, and thousands of others stranded, people tend to act in their own interests, especially when the leaps in quality of life at stake are so significant. Likewise, it's extremely difficult to convince a man who uses a communal bonfire for winter heating that his sacrifice could eventually reduce the chances of flood victims dying. For new, ecofriendly technologies to take root, someone other than energy-poor clients like Singh and his family will have to foot the bill. Given the sheer number of people waiting for power on this planet, Bill Gates and other philanthropists can't possibly pay for it alone. The key to his proposal will be getting the governments of developed and developing nations to agree on an ambitious and potentially costly plan. This week at the Paris conference, we'll find out whether or not that's really possible. If it isn't, it will be Hemant Singh and others like him who will pay the steepest price.